The world of work and living relies on collaboration, creativity, definition and framing of problems, dealing with uncertainty, change and distributed cognition. Education from a lifelong learning perspective should help learners enhance their abilities to learn, engage in meaningful activities, and exploit the power new technologies. At the end of formal education, mobile devices can help learners keep abreast of the latest developments in their careers as well as other personal interests, thus continuing to learn all through their life. As the “shelf life” of information continues to decrease the importance of being able to access the most current information becomes especially important, and this can be accomplished through the use of mobile devices. In this article, literature related to the use of mobile devices in learning will be reviewed with a focus on the use of these devices in informal learning settings. Bohannon, R. (2010). Wherever You Are: There You Can Learn; Mobile Devices for Informal and Lifelong Learning. In Z. Abas, I. Jung & J. Luca (Eds. 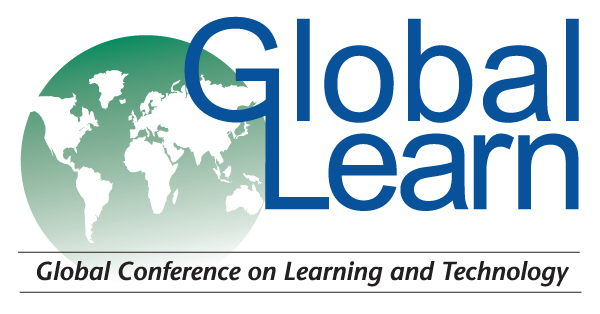 ), Proceedings of Global Learn Asia Pacific 2010--Global Conference on Learning and Technology (pp. 2032-2037). Penang, Malaysia: Association for the Advancement of Computing in Education (AACE). Retrieved April 19, 2019 from https://www.learntechlib.org/primary/p/34392/. Bentley, T. (1998). Learning beyond the classroom: Education for a changing world. London: Routledge. Berth, M. (2005, August). Mobile learning: Informal learning with mobile devices. Paper submitted to the International Summer School on Lifelong Learning, Department of Communication, Journalism and Computer Science. University of Roskilde, Denmark. Bruner J. (1996). The Culture of Education. Harvard University Press, Cambridge, MA. Coffield, F. (2000). The necessity of informal learning, The Policy Press. Cook, J., Pachler, N., & Bradley, C. (2008). Bridging the gap? Mobile phones at the interface between informal and formal learning. Journal of the Research Center for Educational Technology (RCET), 4(1). Corbeil, J., & Corbeil, M. (2007). Are you ready for mobile learning? Educause Quarterly, 30(2). De Crom, E.P., & De Jager, A. (2005, October). The"ME"-learning experience: PDA technology and e-learning in ecotourism at the Tshwane University of Technology (TUT). Paper presented at M-Learn 2005, Cape Town, South Africa. Fischer, G., & Konomi, S. (2007). Innovative socio-technical environments in support of distributed intelligence and lifelong learning. Journal of Computer Assisted Learning, 23, 338-350. Fischer G., & Sugimoto M. (2006). Supporting self-directed learners and learning communities with sociotechnical environments. International Journal of Research and Practice in Technology Enhanced Learning (RPTEL), 1, 31–64. Fleck, M., Frid, M., Kindberg, T., O’Brein-Strain, E., Rajani, R., & Spasojevic, M. (2002). From informing to remembering: ubiquitous systems in interactive museums. IEEE Pervasive Computing, 1(2), 13-21. Geddes, S.J. (2004). Mobile learning in the 21st century: benefit for learners. Knowledge Tree e-journal, 30(3), 214-28. Hsi, S. (2003). A study of user experiences mediated by nomadic web content in a museum. Journal of Computer Assisted Learning, 19, 308-319. Mason, R., & Rennie, F. (2007). Using Web 2.0 for learning in the community. Internet and Higher Education, 10, 196-203. Muyinda, P. (2007). MLearning: pedagogical technical and organizational hypes and realities. Campus-Wide Information Systems, 24(2), 97-104. Naismith, L., Lonsdale, P., Vavoula, G., & Sharples, M. (2004). Report 11: Literature review in mobile technologies and learning. Bristol, United Kingdom: FutureLab. Sefton-Green, J. (2004). Report 7: Literature review in informal learning with technology outside of school. Bristol, United Kingdom: FutureLab. Sharples, M. (2000). The design of personal mobile technologies for lifelong learning. Computers and Education. 34, 177-193. Sugimoto M., Hosoi K., & Hashizume H. (2004, April). Caretta: A system for supporting face-to-face collaboration by integrating personal and shared spaces. In Proceedings of ACM Conference on Human Factors in Computing Systems (CHI2004) (Vienna, Austria), P. 41–48. ACM Press, New York, NY. Sullivan J., & Fischer. Vavoula, G.N., & McAndrew, P. (2005). MobiLearn WP4 – Pedigogical methodologies and paradigms D4.4 – a study of mobile learning practices. Wang, Y., Wu, M., & Wang, H. (2008). Investigating the determinants and age and gender differences in the acceptance of mobile learning. British Journal of Educational Technology, 40(1), 92-110. Waycott, J., Jones, A., & Scanlon, E. (2005). PDAs as lifelong learning tools: an activity theory based analysis. Learning, Media and Technology, 30(2), 107-130.